Posted by Richard Foote in Index Delete Operations, Oracle General, Oracle Indexes. As discussed in Part IV, index blocks that contain nothing but deleted index entries are placed on the index freelist and can be recycled in subsequent index block split operations. This of course is a good thing as it helps to keep the index as small and efficient as possible without having to perform relatively expensive index maintenance activities such as index rebuilds, coalesces or shrinks. However, an important issue is that although the effectively empty index block is free and available to be reused, it remains in place in it’s current logical location within the index structure until it’s been recycled. It’s only logically unlinked and re-positioned within the index structure at the time of the block being recycled. This simple demo highlights this issue. If there’s a significant time lag between index blocks being emptied and subsequently recycled, there could be some scenarios where accessing many of these effectively empty index blocks can be problematic. Classic case is when we’re interested in the minimum value of a specific column. Oracle can potentially use an index to navigate to the first index leaf block in the index structure to quickly find the minimum value of an indexed column. However, if the first or left-most index leaf block contains no current index entries, Oracle will be forced to navigate to the next leaf block and if it’s also empty, to the next leaf block and so on until it finally comes across the first non-deleted index entry. Notice the high numbers of consistent gets, 1115 !! Wow. Until the empty index blocks get recycled, all those effectively empty index blocks will make this MIN select statement run poorly. Classic example where an index rebuild (or coalesce or shrink) would be benefical to improve the performance of this specific query. Now the consistent gets have dramatically reduced from 1115 to just 3 making the select statement run noticeably faster. Yes, index blocks that contain nothing but deleted index entries are placed on the index freelist and can be recycled by Oracle but until they’ve been reused, they remain linked in place in the index structure. In some scenarios, these empty index blocks can be problematic and is a classic example of when an index rebuild might be beneficial. Posted by Richard Foote in Index Delete Operations, Oracle General, Oracle Indexes, Oracle Myths. Yet another method of cleaning out deleted space Oracle has up its sleeve is the recycling of index blocks that contain nothing but deleted index entries. In some cases, it’s possible for an index block to contain no current index entries with all the corresponding index entries within the index block having been deleted. The index block may be totally empty of index entries or it may contain just deleted index entries. Once an index block has no current index entries, Oracle places the block on the segment freelist and is now a candidate block to be recycled and reused elsewhere within the index structure after a subsequent index block split operation. When recycled, the index block becomes “unattached” from its current location within the logical index structure and is reallocated elsewhere within the logical index structure as the new index block in an index block split operation. Any previously deleted index entries are removed and the contents of the index block are replaced with new index entries associated with its new logical location within the index structure. A simple little demo to illustrate this process. We next insert a bunch of new rows into the table, but importantly, all these new rows have index entry values that are greater than the previous values. Therefore, all these new index entries will be inserted into the right most side of the index structure and not into the index where we have nothing but the previously deleted index entries. Oracle will need to allocate new index leaf blocks to accommodate these new index entries, but from where will Oracle get these new index blocks ? The number of deleted leaf entries has disappeared back to zero and the number of allocated leaf blocks has remained the same at 21. Oracle has both removed the previously deleted index entries and has also recycled all the previously empty leaf blocks and reused them again to accommodate the new index entries. The index is effectively the same size as it was previously even though we’ve added new values that were greater than the previously deleted values. So index blocks that are totally empty or contain nothing but deleted index entries become “free” again, are placed on the freelist within the index segment and can be reused or recycled again somewhere else within the logical index structure at some later point in time. Again, yet another example of Oracle cleaning out these unwanted deleted index entries for us. However, these empty index blocks can potentially be problematic and can cause performance issues until eventually they actually get reused and recycled. I’ve already looked at the most common example of when Oracle will automatically clean out deleted index entries, that being any subsequent insert into a leaf block will clean out the deleted entries that may exist from the associated leaf block. Another example of Oracle automatically removing deleted index entries is that associated with a variation of delayed block cleanout. If an Oracle index block with deleted index entries is written to disk before the associated transaction performing the index delete operation is committed, the next time the index block is accessed, Oracle will not only clean out the transaction details from the index block (such as the lock byte) but the deleted index entries themselves may also be cleaned out as well. This scenario is most likely to occur during large or long running transaction operations (such as batch operations) where many rows are likely to be accessed and/or modified and the associated modified index blocks may get aged out of the buffer cache and written to disk before the transaction ends via the COMMIT. Note this delayed clean out does not require the index block to be accessed via a subsequent DML operation, even a simple SELECT statement will be sufficient to perform the necessary clean out of deleted index entries. To illustrate this behaviour, basically create a table with a bunch of rows, deleted some of them but flush the buffer cache prior to issuing the commit on the delete. Next, deleted say 1/2 of the rows from the table. At this point, we flush the associated blocks to disk to simulate a large or long running transaction is which blocks may be aged from the buffer cache and written to disk before the COMMIT is performed. It’s only at this point after the blocks are flushed to disk that the COMMIT is performed. NOTE: The following results do not consistently occur if the index consists of just a single block (the root block is a “special” case), but does appear to be more consistent if the index has a blevel of one or more (as in the demo) and as would be more typical with indexes involved in long running transactions. Note: There are no deleted index entries, none. They’ve already been cleaned out. Note: It only shows 500 rrow and 500 nrow values, clearly highlighting there are no deleted index entries. The deleted index entry count kdxlende is 0, with no deleted index entries existing in the block. None. All the deleted index entries have already been cleaned out, with not a subsequent DML operation in sight. So yes, again Oracle can clean out deleted index entries as part of it’s general processing so that the need to do so manually via an index rebuild, coalesce or shrink is a somewhat rare occurrence. Just before I hop on a plane to do some training in Europe, thought I might begin a little series on deleted space within an index. I’ll begin with a short piece on how we can determine what deleted space an index may currently have before beginning a discussion on whether this deleted space can indeed be reused by Oracle. Generally speaking, when an index entry is deleted, Oracle doesn’t physically remove the index entry, it’s simply marked as deleted. It’s another case of Oracle putting off what could be an expensive operation for the current transaction and leaving any potential clean up operations to future processes. However, there’s often some confusion whether these deleted index entries remain “deadwood” within the index structure or whether they are somehow cleaned out later and the space potentially reused by subsequent inserts in the relevant index block. To set the scene, we begin by creating a very simple scenario. Here we create a little table and associated index, insert a single row, commit it and then delete and commit the row afterwards. We can then have a bit of a look around to see how this deleted index entry is recorded by Oracle. We begin by looking at statistics related to the deleted index entries within the INDEX_STATS view. So yes, the one and only index entry is a deleted index entry. We can also see how many current deleted entries we have by looking at an index tree dump of the index. Following is the index tree dump generated by the above operation. We notice that the rrow count which is the number of non-deleted index row entries is 0 but the nrow count which is the total index row entries, including deleted entries is 1. Therefore, yes the index currently consists of just the one deleted index row entry. We can also view the deleted index details by performing a dump of the associated index block. From the above, kdxlende 1 is a count of the deleted index entries. The index entry has a D flag set, signifying that the index entry has been deleted. Also note that the index entry was locked and deleted by the ITL entry associated with ITL number 2. So yes, when we perform a delete that results in the deletion of an index row entry, the deleted index entry is marked as deleted but is not physically cleaned out at the time of the delete. All the above checks confirm this current state of the index. The key question is therefore, are these deleted index entries ever reused/removed, or are they forever “deadwood” that would require a periodic rebuild of the indexes to clean out ? Posted by Richard Foote in Constraints, Oracle General, Oracle Indexes, Oracle Myths, Primary Key. Based on this OTN thread, it appears there may still be folk out there that think Oracle uses Unique Indexes to police a Primary Key (or Unique Key) constraint. This is of course not necessarily true as since 8.0 and the introduction of Deferrable Constraints, Oracle can just as easily police a PK (or UK) constraint with a Non-Unique Index. To determine whether a new PK value currently exists or not, Oracle can almost (although not quite) just as easily perform an index look-up using a Non-Unique Index as it can with a Unique Index. Simple index look-up, is the value there, yes or no, proceed as appropriate. However, for those that may never have seen a case where creating a PK constraint has not created a Unique index, I thought it might be an idea to just go through a number of different scenarios when this is all quite possible. The first example is when there’s already an existing non-unique index that Oracle can use. Oracle will not (and indeed can not) create a Unique Index where an identical Non-Unique index already exists. A subtle difference to this scenario is where there’s an existing Non-Unique index but it only has the leading columns the same as the PK constraint to be. Again, even if there are additional columns within the index, the fact the leading columns match the PK constraint means Oracle can still use the index to police the constraint as the index must be in the same logical order of these leading columns. Another example is when the PK constraint is created as being DEFERRABLE. This means the constraint could be used to defer the policing of the constraint until the time of the COMMIT, rather than at the time of the DML statement. As such, for a period of time during a transaction, there could actually be duplicate values for the PK. Not only will Oracle create a Non-Unique index for such a Deferrable constraint, indeed Oracle MUST create a non-unique index. The existance of a previously created Unique Index will actually prevent Oracle from creating PK constraint as deferrable. Of course, another way to create a Non-Unique Index when defining a PK constraint is to simply create the specific index at the same time as the PK constraint. You can get pretty tricky with the create table syntax these days. The next time you read or hear mentioned Oracle uses a Unique Index to police a PK (or UK) constraint, you now know it might not necessarily be the case. Posted by Richard Foote in Oracle General, Oracle Indexes, Oracle Myths, Tablespace Management. Based on the discussions on whether there’s any performance benefit in storing indexes separately from tables, I’ve had a number of questions on how can one actually determine exactly how an index range scan is performed. How for example can one determine whether an index I/O is following by a table I/O in a serial manner. The first index will be an index on a monotonically increasing value, the second index is on a randomly generated value. Notice the indexes have been created in a separate tablespace to the table so we can easily determine the associated data files. Notice how the first 3 physical I/Os are related to the index, the root block, the intermediate branch block and the first leaf block of interest. Note the file number tells us this, as does the obj#. Also notice how each I/O only reads the one block and how each block is random and not consecutive to the previously read blocks (as illustrated by the block# value). Notice how this next index block which relates to the next leaf block is only a single block I/O that again is not at all consecutive to the previously read index block. In short, it’s just another random I/O. This is then again followed by a whole series of randomly accessed table related blocks. The fact all these I/Os are performed in this specific, serial sequence and the fact all these I/Os are effectively random is one of the main reasons why separating indexes from tables makes no real difference to performance. That and the fact of course that while this select was being performed, there were concurrently a whole series of other I/Os being requested at the same time by all the other concurrent sessions in this database environment that potentially conflicted with the I/O requests in my session. I’ll leave it to the reader to perform the same tests again with the monotonically increasing index to see how things can be somewhat different for well clustered indexes. However, contention between sessions and different processes still makes separating indexes in these more promising scenarios ultimately futile as well. That being said, why is it then some sites claim performance improvements after separating indexes from tables ? Previously, performance was sluggish however after moving indexes into a separate tablespace, performance appears to have picked up. Clearly then, moving indexes into a separate tablespace does improve performance, even if common sense might suggest otherwise. Currently, an application has both tables and indexes in the same tablespace. The tablespace consists of various datafiles distributed across (say) 4 physical devices. Most database waits are I/O related with both db file sequential reads and db file scattered reads featuring heavily in performance metric reports. However, I/O performance is somewhat average with slow I/O related wait times and performance is generally suffering as a result. Maybe, just maybe, the problem is due to having tables and indexes in the same tablespace. Perhaps if we separate the indexes away from the tables, contention will reduce, I/O wait times will decrease and database performance might improve as a result. So we create a shining new, index only tablespace spread across (say) 4 additional physical disks and rebuild all our indexes in this new tablespace. To our relief, thankfully, performance has indeed improved. Average I/O wait times have been reduced and overall database performance has improved as a result. Despite what folks like that Richard Foote dude claims, here is clear proof and evidence of performance indeed improving, purely and simply by just separating indexes from their tables. There are of course two additional, potentially significant events that have also occurred other than just the indexes being separated from the tables. The first one is that not only have all the indexes been moved to another tablespace, but all indexes have also been rebuilt as a consequence. Now, I’m the last person to get all excited about indexes being rebuilt, however as I’ve gone to great lengths to document, there are rare scenarios when indexes can get fragmented and may benefit from a rebuild. By moving indexes into a new tablespace, we’ve effectively rebuilt all the indexes, the (say) 99% where it wouldn’t have mattered but also the (say) 1% where it may have improved things. We have also rebuilt those indexes where there may be some temporary improvement until the index starts to flesh itself out again. As a result, there could be all manner of related changes to execution plans and performance generally, especially related to larger index range scans and index fast full scans. It’s not the indexes being separate from the tables that’s making some difference here, it’s the fact all the indexes have been rebuilt (especially those that were badly fragmented and accessed by large index scans). However, the far more significant difference we’ve also made is that we have of course just introduced 4 new physical devices into our database infrastructure. As a result, we may have significantly enhanced our I/O bandwidth and possibly reduced I/O related contention issues. All the general I/O activity related to indexes that was occurring on our initial 4 disk table/index tablespace have all been removed and are now occurring on our new, separate 4 disk index only tablespace. But that’s a good thing right, that’s what we wanted to achieve ? In the index range scan scenario I discussed in Part I, just note how few of the overall I/Os were related to the index. In larger index range scans where in theory separating indexes might improve performance, very few of the related physical I/O activity is actually attributed to indexes. The index would have to have an extremely low (and rare) clustering factor for index costs to be significant. In most “randomly” distributed index scans, there’s significantly more table related physical I/O activity than index activity. By moving just the indexes into these new physical devices, we’ve just moved a whole bunch of segments that as a group incur relatively low physical I/O related activity while leaving together all those that result in the majority of physical I/Os. It’s not the separating of indexes from tables that’s improved performance, it’s the fact we’ve introduced 4 new disks and we’ve shifted some of the I/O activity away from the initial tablespace. As an example, previously we had 100% of related I/O activity in the initial table/index, 4 disk tablespace. However, only (say) 20% of the activity was actually related to the indexes, 80% was attributed to all the tables. By moving all the indexes into the new, 4 disk index only tablespace, we therefore reduce the load on the initial tablespace by 20%. We now have 80% of the I/O load on 4 disks and just 20% on the other 4 disks. Yes, performance might improve as a result but we could do so much better. Currently, 4 of the disks have 20% of all segment related load on them and the other 4 disks have just 5% of all associated load. Instead, if only we either added the 4 disks to the other 4 disk set and striped both tables and indexes across all 8 disks or moved and distributed both indexes and tables into the new 4 disk set, we might have been able to distribute load much more evenly across all 8 disks with approximately 12.5% load across each one. By doing so, we may have improved performance by an even better and more significant amount. Conversely, by separating indexes into their own tablespace, we may actually be hurting general database performance because database performance is not optimal due to the uneven distribution of I/O related activities. Yes, there are scenarios where distributing individual segments here or there may be beneficial but the overall objective is generally to try and even out disk/spindle workloads as much as possible. Separating all indexes blindly is typically a very poor method of trying to achieve this. If an individual query is not likely to improve by having an index in a separate tablespace and if separating indexes results in a non-uniform distribution of physical I/O activity, then you may want to start questioning whether it’s all really worth it. Posted by Richard Foote in Oracle General, Oracle Opinion, Richard's Musings. When I was at OpenWorld last year, I was asked by a couple of people a question that’s been asked of me quite a number of times before. Who has been the biggest influence in my career as an Oracle DBA, just who has had the biggest impact in shaping the Oracle DBA I am today. It’s actually a really difficult question to answer because it first assumes I actually know exactly what sort of DBA I am, which I’m not sure is entirely the case. It also assumes that “this shape” is fixed, which it isn’t. I literally learn new things about Oracle on a daily basis so I’m continually evolving and developing and “growing” as a DBA. The answer I generally give surprises most when I give it but when I explain my reasoning, it generally makes sense and they accept where I’m coming from. 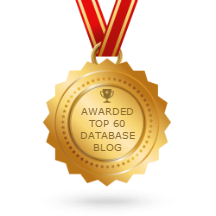 So I thought I might share the top 5 Oracle DBAs who have most shaped and influenced this Oracle DBA I am today. Reducing what is overall quite a massive list of influences to just 5 is a really really difficult process, but these 5 are probably the most influential in not just what I actually “know” about Oracle, but more importantly, how I actually go about continually learning and growing and developing as a DBA. Steve Adams. I’ve had the pleasure of meeting Steve a number of times and the most important thing he taught me was just how much I actually didn’t know about Oracle !! Initially, I looked at Oracle as simply being this “car” if you like, that had an “engine” and had a thing you did to switch it on and a thing you turned to make it go where you want and if you did these things every now and then, this “car” ran that little bit better (or so it seemed). However Steve made me realise that Oracle was actually made of lots and lots of little parts and that an “engine” was actually made of lots of different components that worked together and the more you knew how these components actually worked and interacted, the easier and more effective one would be in tuning and finding what might be at fault. However, he didn’t just know that this bit was a “starting motor”, he went way way down into knowing what all the little bits ‘n’ pieces were that made up the “starting motor” and the “distributor” and the “CD player” and pretty well every part of the whole “car” !! And not just for this model of Oracle, but for pretty well all models dating back to almost when Oracle began. Tom Kyte. I’ve only met Tom once very briefly at OpenWorld last year. However, I feel like I know him so well thanks to his fabulous Ask Tom website. Tom has probably taught me more about Oracle itself than just about anyone but he’s also taught me something far more important as well. Tom taught me the importance of “proof”, how to demonstrate and actually “show” how Oracle works and functions. Rather than just saying 1+1=2, he can actually demonstrate that 1+1=2, why it’s so and give me a script that I can run and test and modify so I can learn why and how 1+1=2. Most things in Oracle can be illustrated in this manner and these skills have been a huge influence on not only what to believe, but in how to determine and investigate things for myself. If someone claims 1+1=3 but doesn’t have the capabilty to show why it’s so, then in my experience there’s a very good chance that 1+1 doesn’t actually equal 3 afterall. Also, Tom’s books are among the best Oracle books I’ve read and really showed me what a good Oracle book actually looks like. Basically Tom taught me “how to fish” and I’ve been catching fish in the Oracle Ocean for most of my career thanks in large part to Tom. Jonathan Lewis. I had the pleasure of meeting Jonathan and showing him the wonders that is sunny Canberra a few years ago. Jonathan, like Tom and Steve knows more about Oracle and the internal workings of Oracle than I will ever hope to know. The Oracle knowledge this man has is amazing. The core, the brain even of the Oracle database is the CBO and very often when Oracle is “sick”, it’s directly related to the CBO not doing what it should be doing or not doing what you think it should be doing. Jonathan reminds me very much of a really really good doctor or surgeon who not only is able to quickly diagnose a specific problem with one quick glance of a “medical chart” but is able to get in and successfully perform the necessary surgical procedure with no fuss, ensuring the patient makes a quick and successful recovery. Jonathan taught me the importance of correctly diagnosing a problem in order to apply an appropriate solution. He also highlighted just how complex the CBO really is, how important it is to actually understand how the CBO (and Oracle in general) works and why it’s vital to correctly understand and interpret the various costs and behaviours in order to apply an appropriate solution. Unless you understand the hows, the whats and the whys, unless you really understand the problem, you’re not really in a position to apply an appropriate solution. Jonathan never guesses, rarely assumes and if he does, it’s an educated guess and he’ll explain his reasoning for making any such assumptions. This “discipline” of his and his process in diagnosing a problem has been extremely important in determining how I look at a problem. If I don’t know what’s actually going on, if I don’t understand the root cause of a problem, then how can I expect to solve it successfully. The final person in my Top 5 list is most certainly the most important and significant in determining how I’ve evolved over the years into the DBA I am today. It’s possibly a somewhat controversial choice and there may be some who would possibly disagree. However, in my opinion, this person should likely be in everyone’s Top 5 list (big call I know) so I’ll leave the identity of this last person for my next post.